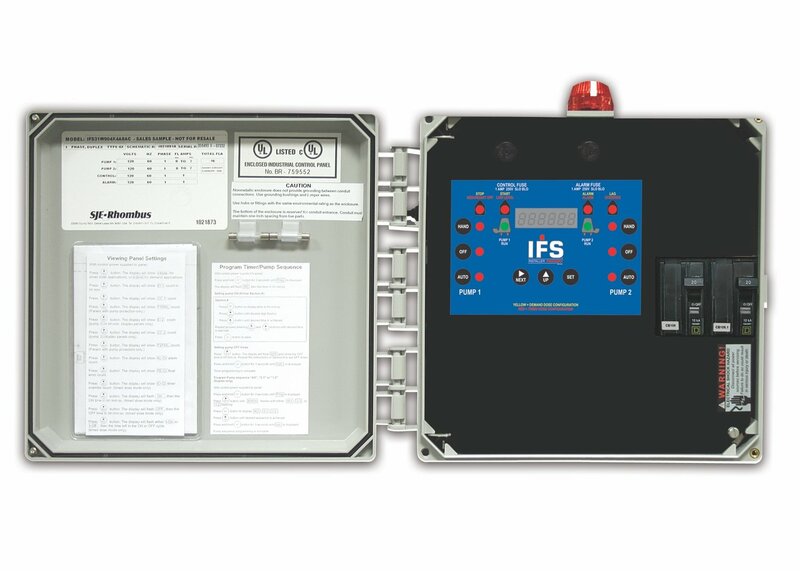 The IFS control panels utilize an innovative circuit board design to control one or two 120/208/240V pump(s) in onsite wastewater applications. IFS panels feature an easyto-use touch pad with LED display on the inner door for programming and system monitoring, including elapsed time meter(s), cycle counter(s), alarm counter, lead/lag selector to toggle pump operation (duplex models), float error counter and override counter (timed does models). Each panel can be converted to either demand dose to timed dose in the field. Float-based or C-Level™ floatless sensor options available. IFS panels are also available for three phase, capacitor start/run and drip irrigation applications.